With the ability of a Tellen ApfelSchuss they have managed to perfect banking to an art. If you are wondering what a Tellen ApfelSchuss is, well here is a primer. William Tell was a 15th century Swiss hero, who was ordered by a despotic ruler to shoot the arrow that was placed on top of his son’s head, which he successfully managed to do. The ability to do that is what is called ApfelSchuss in German. That precision is what the three man team have done in setting up our featured cryptocurrency vault iceVault.ch. iceVault is a relatively new service that provides offline protection for your digital assets. You can secure your Bitcoins and other crypto-currencies in offline Swiss vaults using the company’s services. For the purposes of this article, I searched “bitcoin hacking news” on Google. Among the first page results were some scary headlines such as this one from Australia, or this one involving the MTGox exchange. In the latter case, hackers made away with $400 million worth of Bitcoin. Unlike fiat money which is protected by various deposit protection agencies such as the FDIC, there is currently very little recourse for cryptocurrency which gets stolen. With the growing importance of Bitcoin and other cryptocurrencies in the money markets, the need for reliable methods of protecting digital assets will become of prime importance. As part of the security measures to safeguard client deposits, iceVault keep the data offline in Swiss vaults. According to their website, “a private key is generated and encrypted for each account offline, broken into pieces, sealed and safely stored in deposit boxes, on physical media built to last 1,000 years”. The idea of generating an offline encrypted key offline would be a great way of reducing the number of online hackers who are getting increasingly better and better at their craft. The team behind iceVault include Frederic Thenault who is a specialist in cryptocurrencies, Laurent Bischof who is a Swiss venture capitalist, and Gilles who is a security expert. Between themselves, they boast of great credentials at the intersection of finance, technology, security and cryptocurrencies. Setting up an account on iceVault is fairly straightforward, and this writer was able to create one in a matter of minutes. 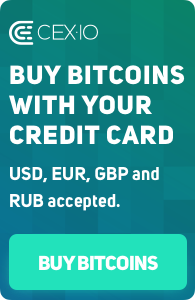 They have a variety of pricing plans starting with the free package which limits a depositor to 2 BTC going all the way to the 49.99 € a month plan which allows you to store upto 2,000 BTC in their vaults in Switzerland. You can also request for a custom quote for amounts greater than that. Globally, the volume of Bitcoin transactions is expected to rise. Currently, just under $50 million worth of BTC are transacted each day, and this is going to rise. These volumes are likely going to attract attempts at hacking and other types of financial fraud. A robust regime of regulations that facilitates rather than stands in the way of digital currency will be imperative in curbing the growing cases of hacking and other unethical behavior. And while we wait to see what protocols cryptocurrency stakeholders and developers will come up with, we can only look at companies like iceVault with appreciation as they take all humanly possible steps in protecting the data of their clients.